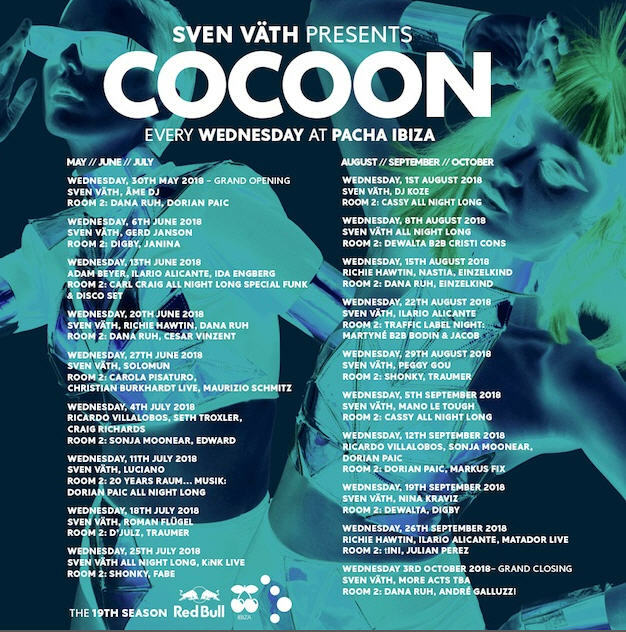 Cocoon Ibiza has revealed the full lineups for this year’s debut season at Pacha. In room two, AKA Pachacha, there’s a return for former resident Cassy, who hasn’t played Cocoon Ibiza since 2012. She’ll play two all-night sets on August 1st and September 5th. Other acts billed in there include Dana Ruh, Shonky, tINI, Dorian Paic, D’Julz, Edward, Sonja Moonear and Traffic Records’ Martyné and Bodin & Jacob.